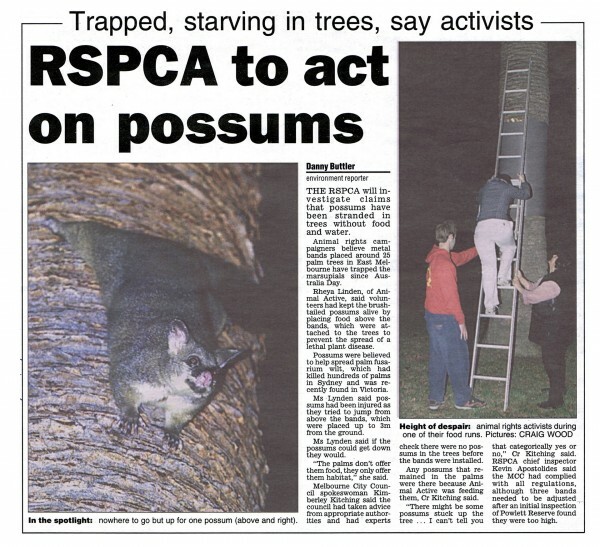 Newspaper clipping about possums being stranded in tree tops because of the banding of tree trunks. Tthe trunks of palm trees have been banded as it is believed that the possums spread a virus which is killing the trees. Photos. 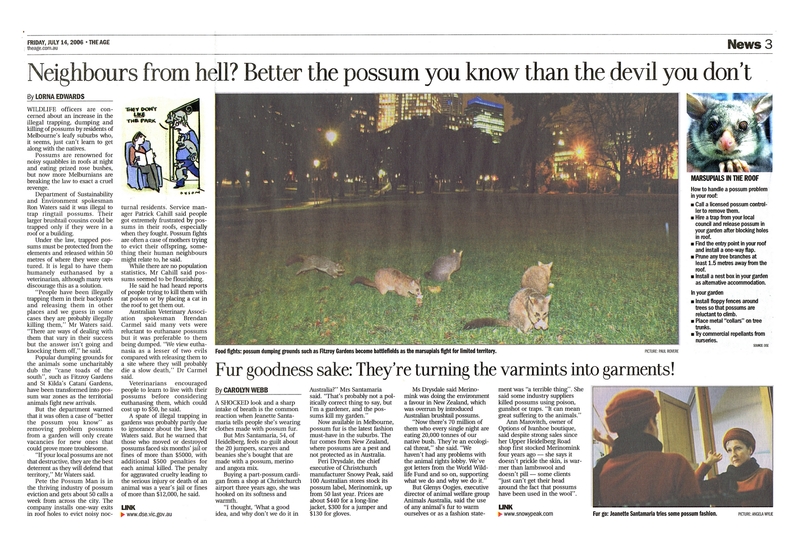 The Herald Sun 10 Oct. 2004.